Daft Punk goes [email protected]! Guy-Manuel de Homem-Christo and Thomas Bangalter in their white suits. Show your "Digital Love" for the legendary electronic music duo! 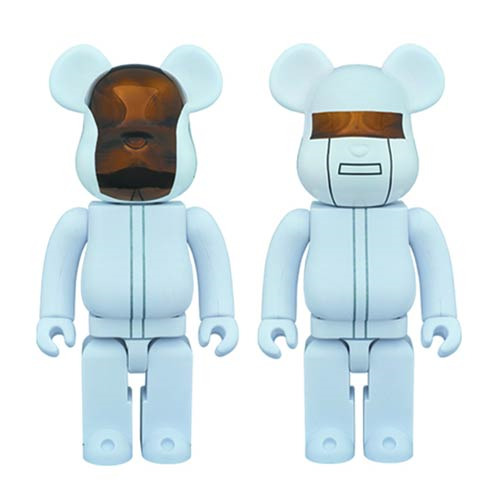 This Daft Punk White Suits Version 400% Bearbrick 2-Pack features Guy-Manuel de Homem-Christo and Thomas Bangalter in their white suits. Each figure stands about 11-inches tall, 4 times the size of a regular [email protected] Show your "Digital Love" for the legendary electronic music duo with these fun-tastic 400% [email protected]! Ages 15 and up.